A Night of Fun, Prizes and Surprises at the Mayor’s Big Charity Quiz. Friends, families and workmates are being invited to come together and take part in Reading’s biggest quiz of the year. 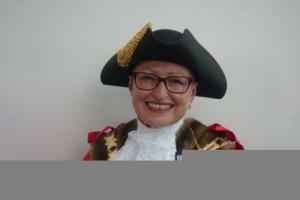 The Mayor of Reading Cllr Debs Edwards is hosting her Big Charity Quiz in Reading Town Hall with the promise of amazing prizes, an exciting silent auction and great food. The fantastic evening of fun on Thursday 25th April will raise money for the Mayor’s four charities: Berkshire West Your Way, Berkshire Women’s Aid, Launchpad and YMCA Reading. Teams of up to six people can take part in the Mayor’s Big Charity Quiz which will test your knowledge of Reading, music, movies, sport, general knowledge and much more. Prizes in the silent auction include two day tickets for the Reading Festival, a signed t-shirt from Reading Football Club, a £550 photography voucher and a fascinating Thames Water London sewer tour. There will also be a Big Charity Raffle with a host of great prizes including a hamper, Veuve Clicquot Champagne and picnic set. 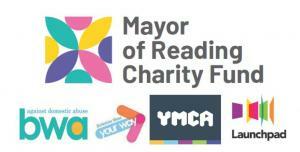 The Mayor’s Big Charity Quiz opens its doors at The Victoria Hall, Reading Town Hall, Blagrave Street, Reading at 6.30pm for a 7pm start on Thursday 25th April. Tickets are £20 each and include a welcome drink, a meal of Spaghetti Bolognese/Vegetarian Spaghetti Bolognese served with garlic bread and entry to the quiz. All profits from the evening will go directly to the Mayor’s Charity Fund. Tickets are on sale now at www.readingarts.com. For more information call (0118) 937 2071.